Carvin's support mindset is all about enabling and empowering users to make the most out of Showbie. Outside of work, he volunteers as a mental health advocate and is a Dungeons and Dragons enthusiast. Back in April, we shared a preview of product improvements we’re working on for the upcoming school year. It gave a glimpse of upcoming features such as the recently released highlighter tool for iPad. Today, we’ll be taking a detailed look at another eagerly anticipated back-to-school feature: class folders! I recently got a sneak peek and couldn’t wait to share it with you. For those who don’t know who I am, my name is Carvin and I’m a member of Showbie’s support team. I help teachers get set up with classes and assignments, and support them in using Showbie to its full potential. Because I work so closely with teachers, I hear a lot of great ideas on how to improve the app, and I make sure to share what I hear with our product team so we can keep building a better Showbie for you and your students. And organization is the common theme. 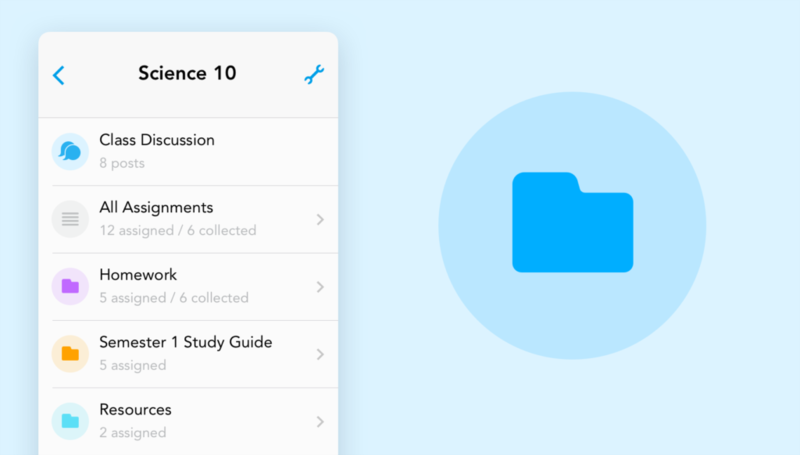 What happens once you’ve gone well beyond creating your first assignment, and you rely on Showbie to send dozens of assignments to your students, month after month? Materials, work, and feedback can start to get lost in the depths as the number of assignments increases. You might start craving a way to give more structure to your class, so that both you and your students can easily locate the materials you need for the task at hand. When one of my teammates first showed me a demo of how folders would work, I could barely contain my enthusiasm. Finally, I’ll be able to suggest a simple and elegant solution to the organization-related challenges teachers have been facing in Showbie. 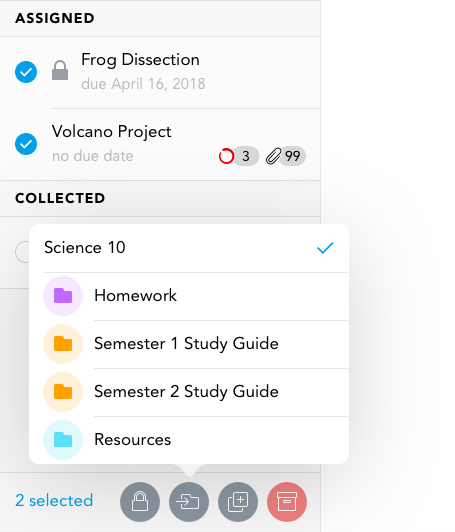 Up until now, Showbie has been organized in a three-level structure: materials and instructions are contained within assignments, and assignments exist within classes. With the introduction of class folders, you’ll be able to take things one step further, by creating folders within a class. 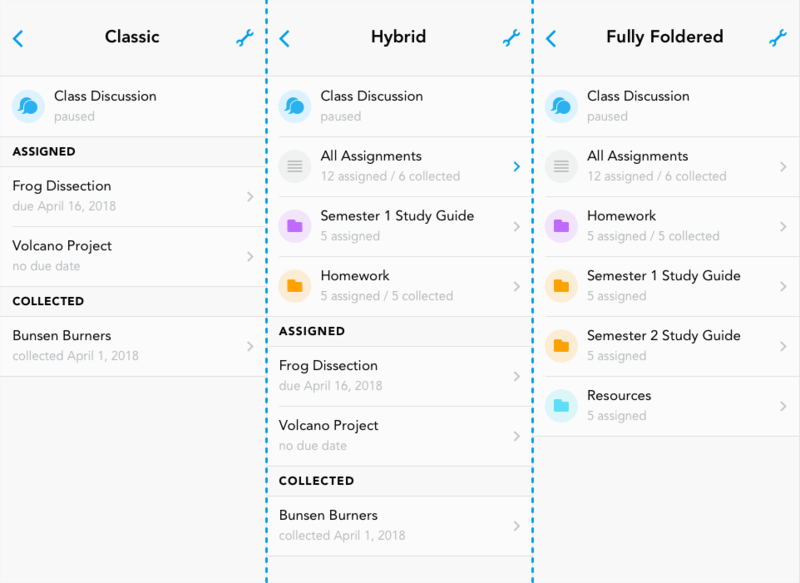 Each folder can contain assignments, in addition to any assignments you choose to keep at the root level of your class. 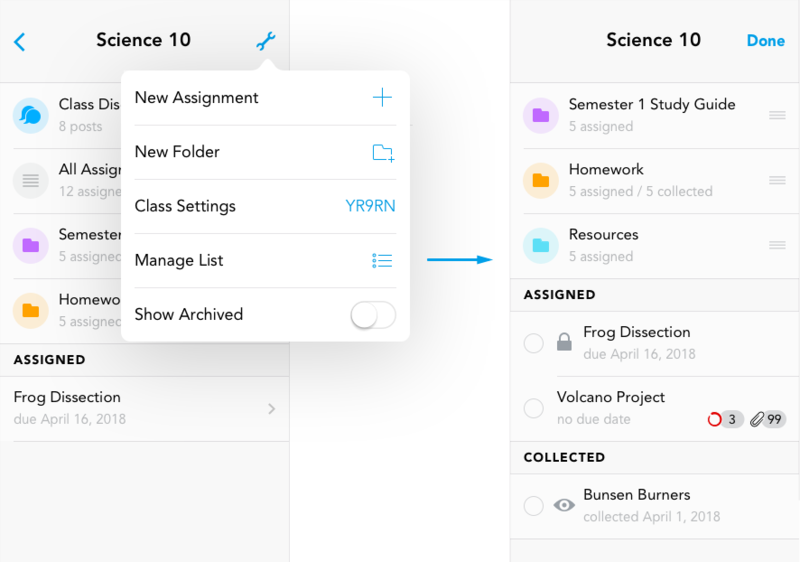 With this additional layer of structure, you’ll be able to organize class materials by topic, by type, or however you like. For example, you could put course notes in one folder and homework in another folder, keeping everything clean and tidy. You can even change the colour of your folders to differentiate them at a glance. There’s no limit to the organizing fun you can have with folders, and I can’t wait to see the creative ways you’ll use them. There’s one more thing that I’d like to give you a glimpse of and that’s the “Manage List” feature. Through this, you’ll be able to reorder folders to your liking, similar to how you can reorder shared items within your assignments. The folders don’t have to be in alphabetical order so you can list them according to priority with the most important folders at the top of the list, or however you like. You can also select multiple assignments and move them in between folders to organize your assignment list quickly! A “Select All” button will also be available which is especially useful if you have several assignments you’d like to manage. And based on your selection, you can choose to archive/restore assignments all in one go. We have plans to include the ability to copy multiple assignments or change the type of student access (locked, view-only, or editable) en masse instead of having to adjust them individually but this will be included as an improvement at a later date. I’ve been looking forward to the release of this feature since hearing about it for the first time and getting an early demo. I hope you’re just as excited as I am, and I look forward to hearing about how you’ll use class folders this upcoming school year! There are great things in store for back to school!